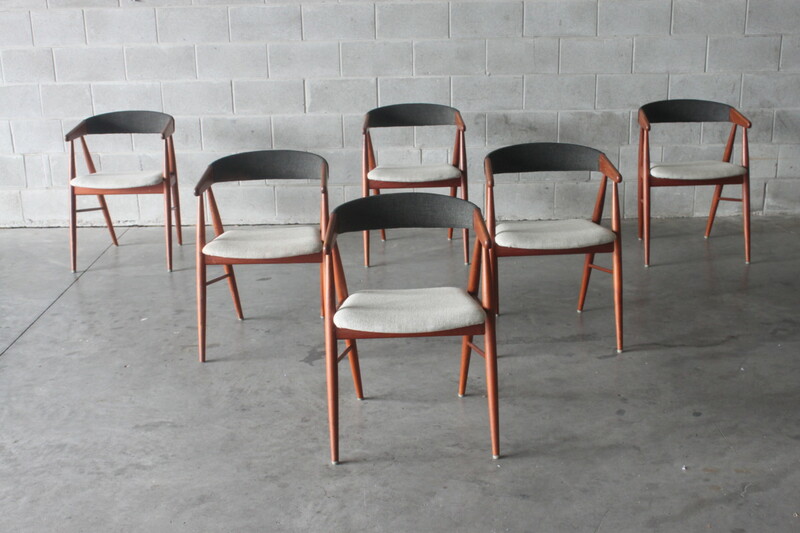 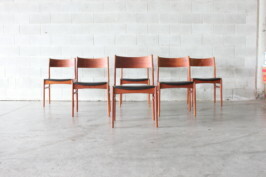 A rare set of six Danish dining chairs by Aksel Bender Madsen & Ejner Larsen which are made of teak and covered in two tone wool. 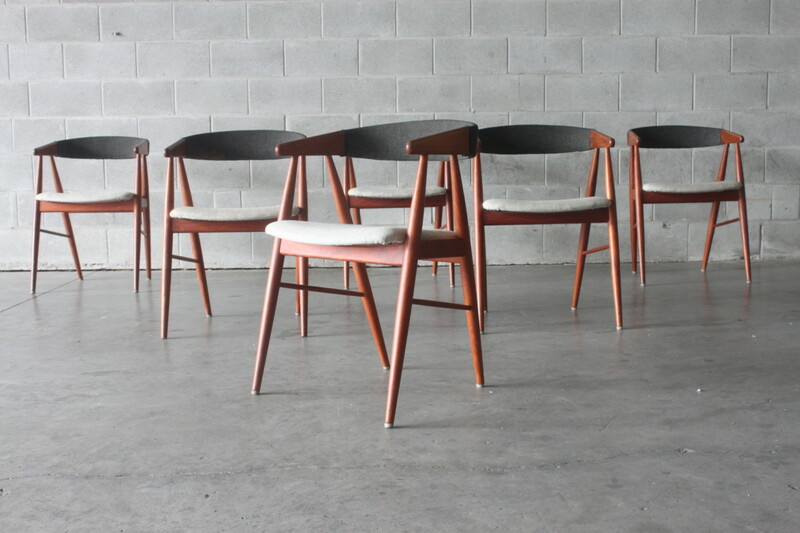 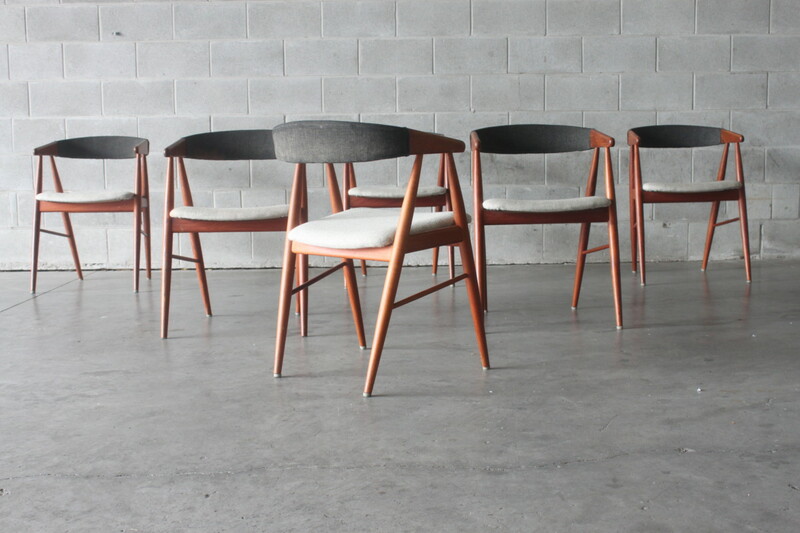 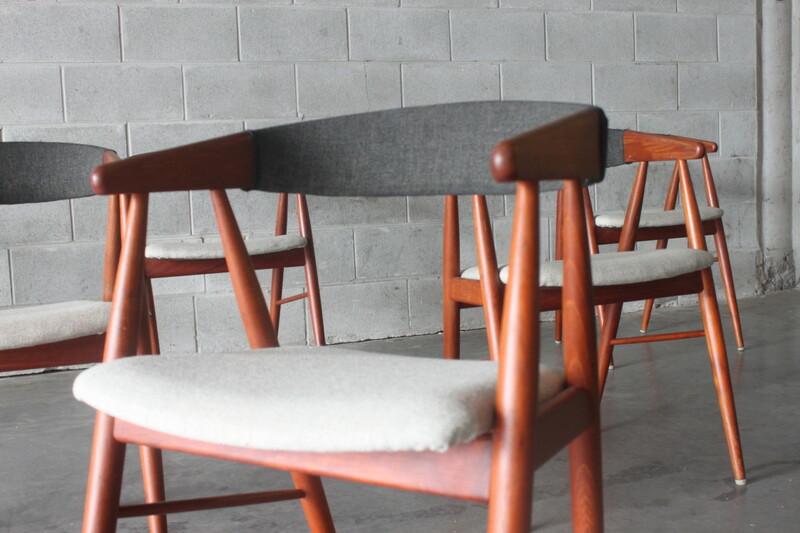 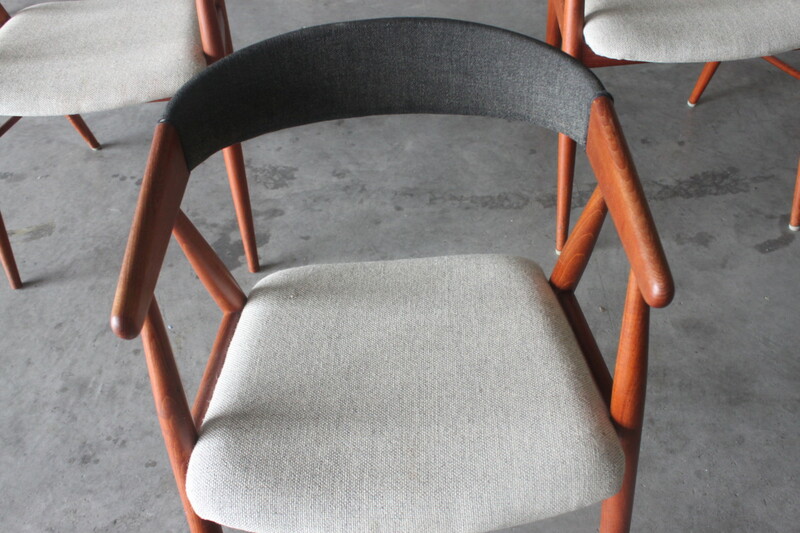 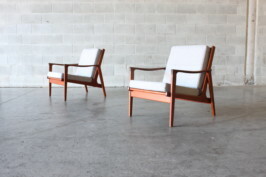 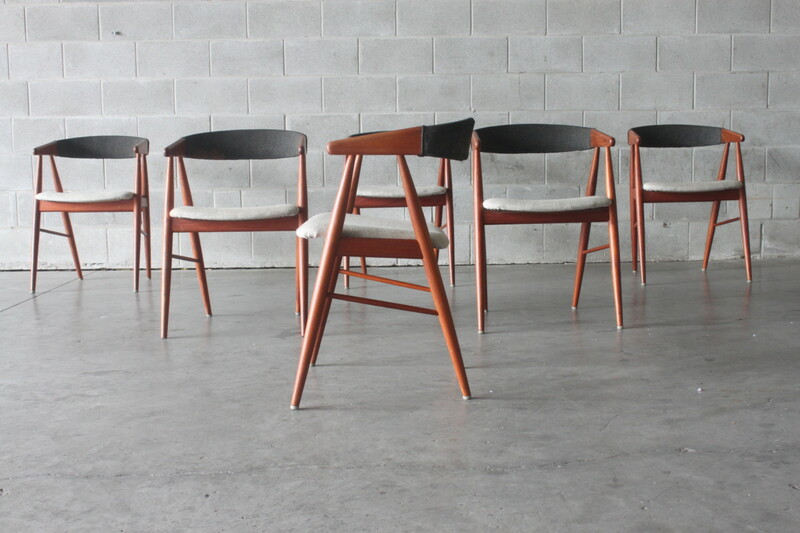 They have ‘A’ frame legs and and curved backrests which is similar to the Kai Kristiansen compass chairs. 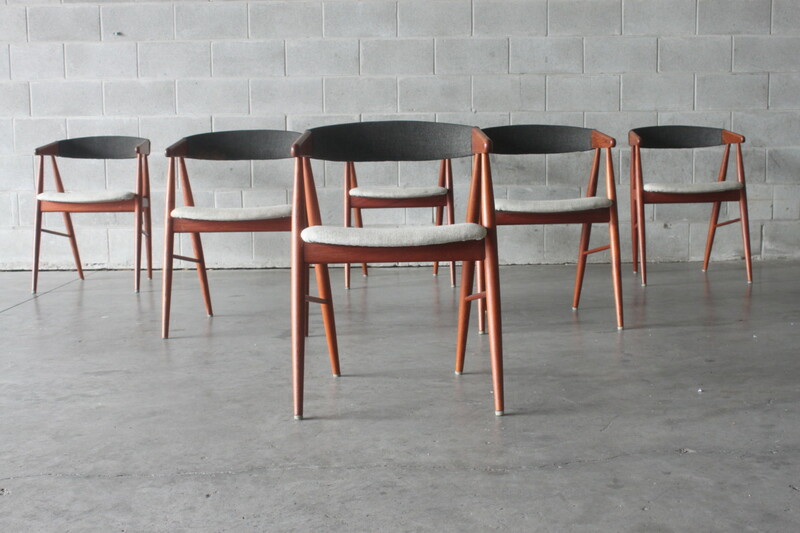 These are ready to be customised with new covers to suit.